Perfect by Design started out thanks to someone mentioning to Dr. Dawn Thomas and her husband that chiropractic might be worth a try for their daughter’s challenges. As their daughter was unable to speak much and didn’t have the usual abilities of a child her age, Dr. Dawn and her husband were very concerned. None of the usual avenues offered any effective solutions. They turned to chiropractic hoping it might offer them something different. Astounded by their daughter’s results, Dr. 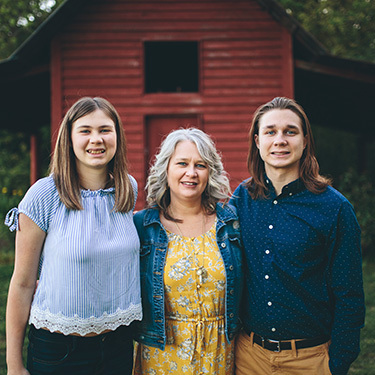 Dawn knew she wanted to enter the chiropractic profession and show families the same hope that she had regained after experiencing natural healing. They followed their hearts and moved from their home in Ohio to Marietta, Georgia, where Dr. Dawn attended Life University. An internship with Dr. Tony Ebel, a well-known pediatric chiropractor, cemented Dr. Dawn’s decision to emphasize chiropractic care for babies and children. We welcome entire families with a particular focus on children who have special needs. Like our practice name shows, each of us is created perfectly by design. When there is interference with the nervous system, however, any number of challenges can present themselves. As a chiropractor, Dr. Dawn removes those interferences with gentle, precise techniques so that you can function as close to perfect as is possible. If you’re ready to find out more, contact our chiropractic office today to arrange your first appointment! We have late opening hours and plenty of free parking on-site.